After some confusing back and forth, it seems as though Rio police aren't convinced Ryan Lochte and his teammates were robbed — or, at least, they're heavily questioning the possibility. The Associated Press reported that Brazilian authorities have characterized evidence of the alleged incident as being "scant" after being unable to find any witnesses. Essentially, they're hinting they don't believe there's a whole lot to back up Lochte and co's account. Just to recap, in an interview with NBC, Lochte claimed that he and three other American swimmers were held up on their way home from a night out while in a cab. According to him, men who appeared to be police officers ordered the Americans to get down on the ground at gunpoint, whereupon they were robbed of their wallets and other valuables. However, Rio officials said that the video evidence available doesn't suggest that anything suspicious had occurred. According to The New York Times, Brazilian Judge Keyla Blanc de Cnop explained in a statement, "You can see the supposed victims arriving without signs of being physically or psychologically shaken, even joking amongst themselves." So where do things stand now? 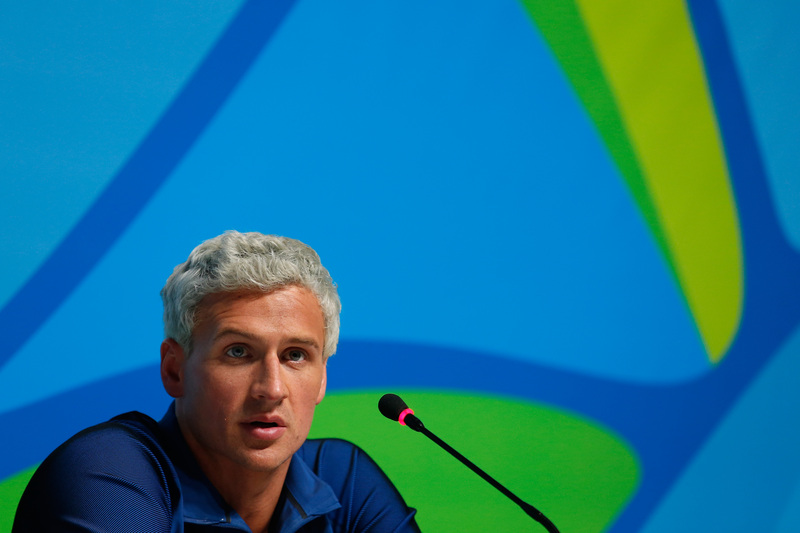 The AP has reported that Judge Blanc de Cnop has issued an order to confiscate Lochte's passport, as well as the passport of fellow swimmer James Feigen, ostensibly to compel them to stay in the country until everything can get sorted out. Jack Conger and Gunnar Bentz were the other two swimmers who were involved in the alleged highway holdup. According to his lawyer, Lochte is already back in the U.S., and left before the order was issued. While Lochte's story would be downright implausible in most places in the United States, there have been longstanding concerns about police corruption in Brazil, which just make the optics of this incident bad no matter how you look at it. Whether it was actually corrupt cops or people posing as police, things just don't look that good. Of course, the only way to get to the bottom of this whole story is for there to be a thorough inquiry, and for that to be effective, witnesses need to come forward, security camera footage needs to be found, and a forensic investigation would have to be done. In short, the authorities need to do their jobs, and that will be difficult if the potential plaintiffs are out of the country.